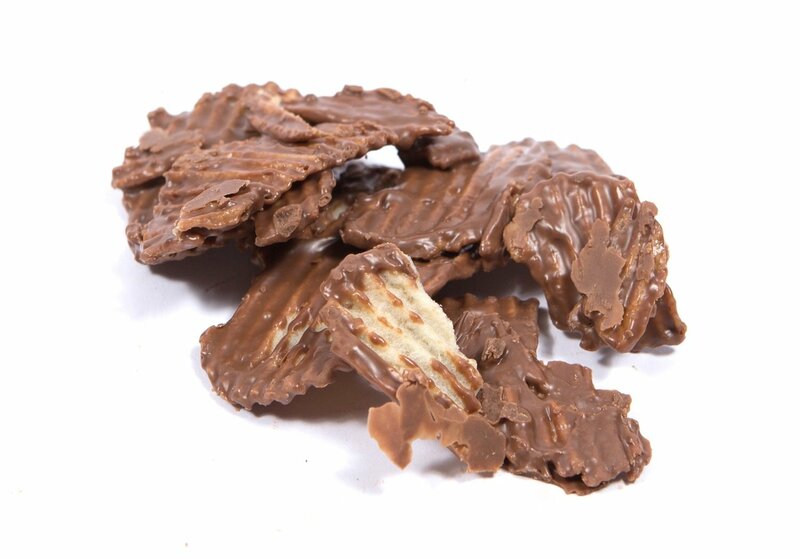 5 ounces of our delicious Chocolate covered potato chips. Sweet meets salty in the best of both worlds! Our Knoke's milk chocolate covering ridged potato chips. So Good!